OPENERS - Tricks with eyeballs and eggs sprinkle this chapter. AmazeKids Danny Orleans's favorite is "Magic Watching," which turns a traditional warm-up into a fun game. SUCKER TRICKS - Highly interactive routines that use stuff like plastic mirrors, jump rope and ketchup and mustard bottles. You also get Chris's advice on how to take the "sting" out of the traditional Sucker Effect, and transform the moment into pure entertainment. IT'S ON YOUR BACK - Chris is a master of making things like a tiny Teddy Bear, a cookie or a cootie end up on the magician's back. He reveals the design of his easily-made utility prop that gets the job done, and his theory on how many times is the "right number of times" to do this in your act. ACCESSORIES - Breakaway Microphones, slap bracelets, wooden spoons, boomerangs, and plungers are all part of the brainstorming process that make up eight great bits of business that you'll be able to make and use right away. AUDIENCE PARTICIPATION TRICKS I - This chapter has philosophy and six routines that rely on onstage kid volunteers. Crazy props like plastic ice cubes, gum, cheese, a money printer, a lollipop, fake mustaches and a Pringles Can (without a spring snake) are used in a totally original way. AUDIENCE PARTICIPATION TRICKS II - Seven "play big" routines requiring more than one helper make up this chapter. Josh Jay's favorite is with a two-headed stuffed animal. But you'll also learn how to do magic with a boxing nun puppet, chattering teeth, and fake ice-cream cone. 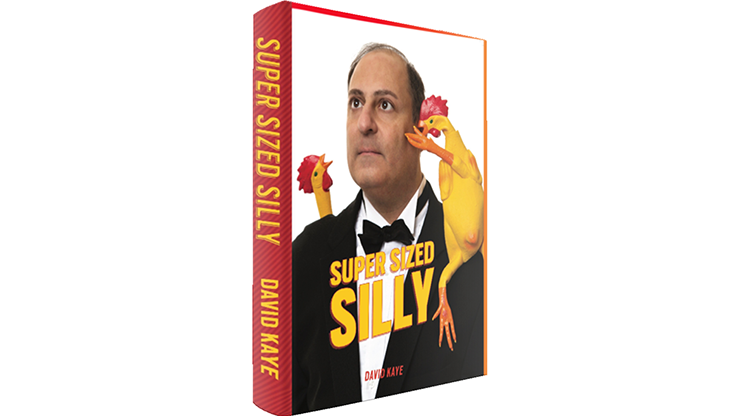 CAPTIVATING MAGIC - Need a break from laughing-out-loud magic? Chris devotes this chapter to storytelling magic that engages, captivates, and keeps kids quiet. Again, original props abound when you perform with a shiny new mini-trophy, a slice of cheese, a volcano, or a magical rose. NOT-SO-TRICKY MAGIC - These seven routines use props to create moments that aren't magical, but still get a huge amount of oohs and aahs from children. Learn what Chris does with a pair of cheap gloves, a whoopee cushion, a robotic goldfish, an ice cream carton, and a table lamp that is anything but ordinary! It's no wonder this book has such great plots for young audiences. Author Christopher Barnes is incredibly knowledgeable and creative. A graduate of New York University's Tisch School of the Arts, he was an actor and playwright before becoming a children's performer. Now a veteran of the kid show scene, he's lectured at KIDabra and Magi-Fest as well as local clubs nationwide. He currently lives in Los Angeles, where he continues to entertain thousands of children and their families every year. 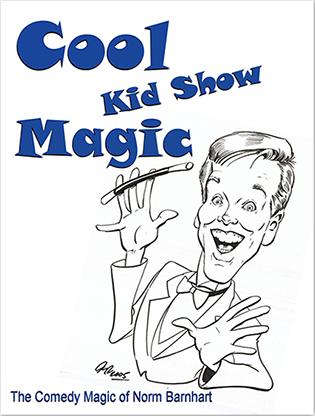 When you use Chris's philosophy, strategies, and tricks to entertain the young and young-at-heart, you'll experience a brand-new way to "find your funny" while performing a family show that's Just for Fun. "It has become clich� to say that one good idea is worth the price of a book, but if that's true, then Just for Fun is worth many times its cost! 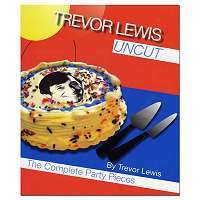 I found myself shaking my head and laughing out loud at the inventiveness and originality of some of the quirky plots presented here... I consider it a tremendously valuable addition to my magical library and I would unreservedly recommend it to anyone involved in or interested in entertaining children." "Christopher T.'s thinking and originality continues to wow me! 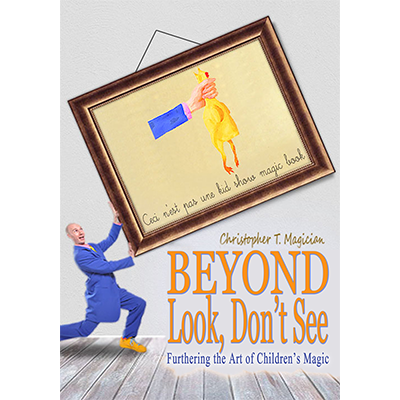 His first book, Beyond 'Look Don't See,' is a masterwork workbook, and I consider Just for Fun his triumphant Part 2. Warning! Spending time with this book could result in a treasure trove of ideas for your shows!... Keep it in easy reach for constant inspiration."